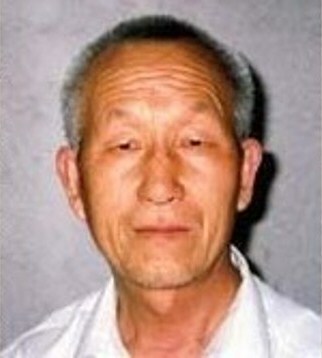 Bishop Zhimin “James” Su, the bishop of Baoding, has not been seen since his abudction by the Chinese communist secret police, in 1997, when they hunted him down. 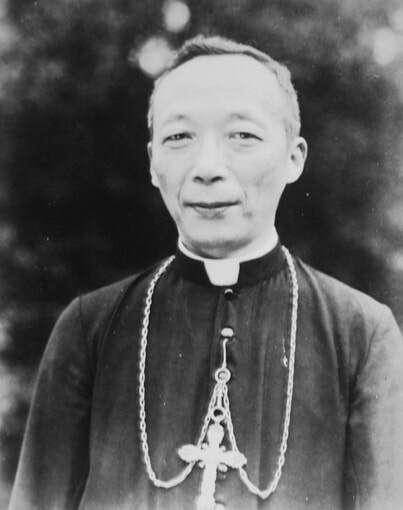 The bishop, like other Faithful Catholics, was considered a counterrevolutionary, an enemy of the atheistic State, because he always refused the demands of the revolutionary Communist regime to join the Chinese Catholic Patriotic Association, the always schismatic catholic church led by Communists, always separate from Rome. In 1994, by the time he was 60 years old, Bishop Su, like countless other Faithful in China, had already spent almost 25 years in hellish prisons and slave labor death camps because of his Faith and had already been arrested no fewer than five times. 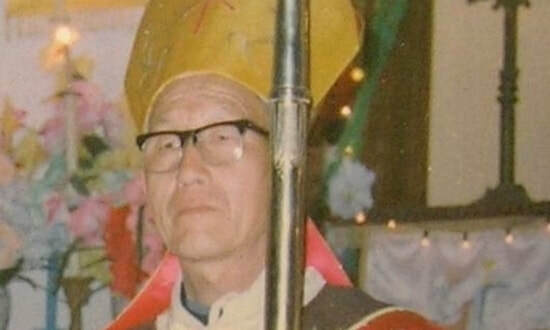 It is unknown if Bishop Su is still alive or if he has been killed during his incarceration. But it is most certain that he remained Faithful to Christ and to the Church. And it is time to RELEASE HIM! Naked, the emaciated corpse with its purplish black skin, offered no resemblance to the once robust, happy-go-lucky priest, Father Cheng-Ming “Beda” Chang (old form of Zhengming Zhang, 1905-51, Society of Jesus). 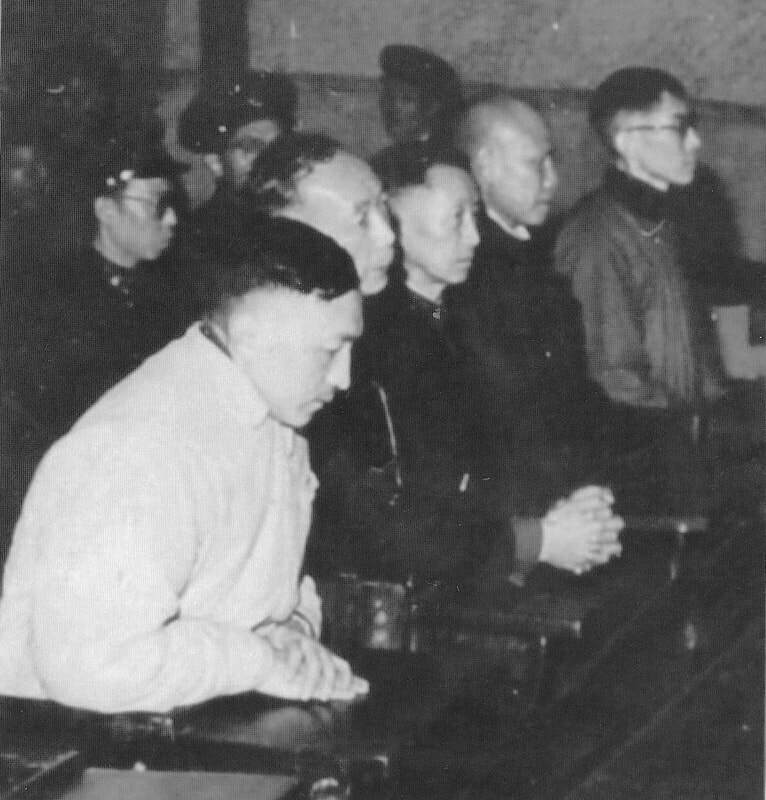 After Chinese Communist authorities tortured the 46-year-old priest for months, he died alone, on Sunday, November 11, 1951, in the bowels of Shanghai City Prison, commonly called Tilanchiao (old form of Tilanqiao). Locked up in a cell opposite, Father W. Aedan McGrath (an Irish missionary arrested for being a Catholic priest and his work with the Legion of Mary) heard the Jesuit vomiting every day for two months. Then, all of a sudden, the retching stopped. 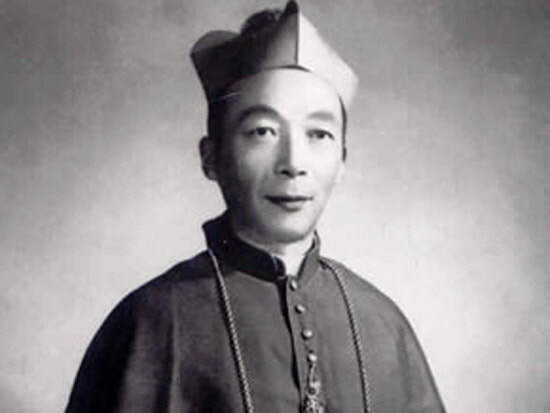 Summoned to identify the body, Father Shih-Fang “Francis Xavier” Tsai (old form of Shifang Cai, 1907-97, Society of Jesus), stared at the unrecognizable corpse that lay on the musty floor, where he had collapsed and succumbed to the final bout in his good fight. Nothing appeared familiar that assured Father Tsai of the dead man’s identity, but when he looked closer at the frozen face and into his gaping mouth, there they were, the two distinct false teeth that set Father Chang apart from all others. Joyful news. 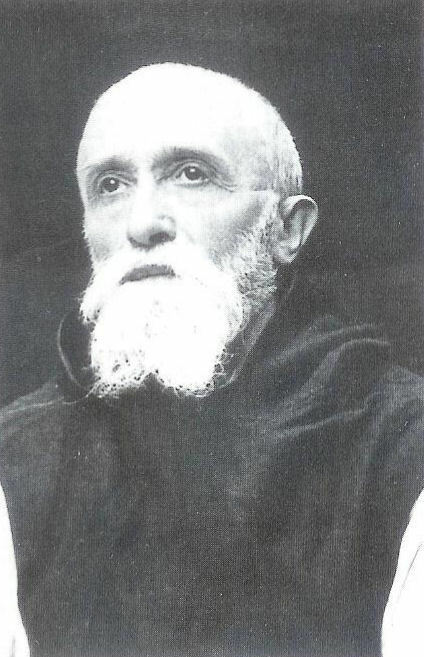 He had not surrendered; he had remained faithful to the Pope, the papal primacy, the divine institution, the Petrine powers – passed from pope to pope – that was, is and always will be the mystical head of Christendom, preserving the unity of the Church, the Mystical Body of Christ. 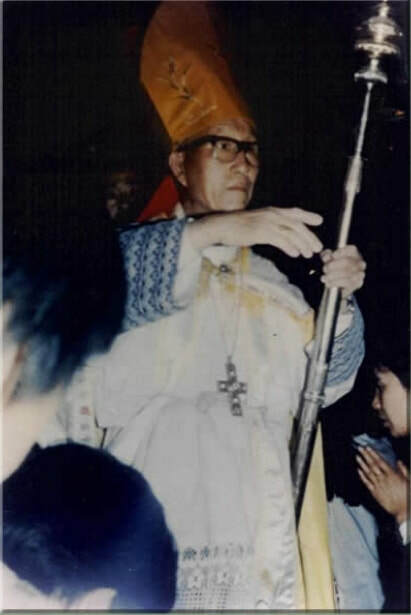 From the prison in Shanghai’s northern Hongkew District, Father Chang’s bearers carried him across town to Zikawei’s Chapel of the Virgin Mother. There, the faithful prayed over the body lying in repose and touched their rosary beads and other religious objects to the cold flesh of the priest, whom they honored as a martyr, for which beatification is simple. With the prerequisite of a miracle waived for a martyr, the only requirement to beatify would be proof that he died for the faith. And certainly, they believed, he had. An educated man, he received a doctorate in literature from the University of Paris, the Sorbonne, in 1938. When he returned home, he became the much-admired principal of a preparatory secondary school, in Zikawei, Saint Ignatius College, which he spiritually protected and physically preserved for the future salvation of souls. In September 1950, when the statues of the Sacred Heart of Jesus and the Blessed Virgin Mary in the school’s chapel were mutilated during an early-morning, anti-Catholic attack, Father Chang made certain that the figures were quickly repaired and ceremoniously returned to their special niches in the sanctuary, above the altar. 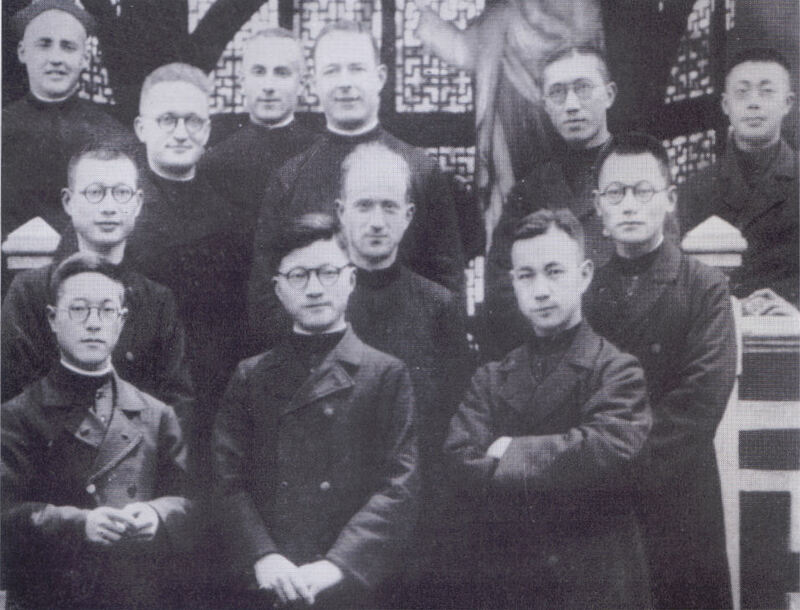 In March 1951, Communist authorities arranged a meeting for the principals of all Shanghai religious schools financially supported by foreigners. The government planned to force the religious institutions to implement and promote the Three-Self Reform Movement. Ordered to attend because of his administrative position, he sat and listened quietly until the conclusion of the meeting, when attendees were asked for any objections. “We cannot break away from our Pope in Rome,” he said. With that, he sealed his fate. 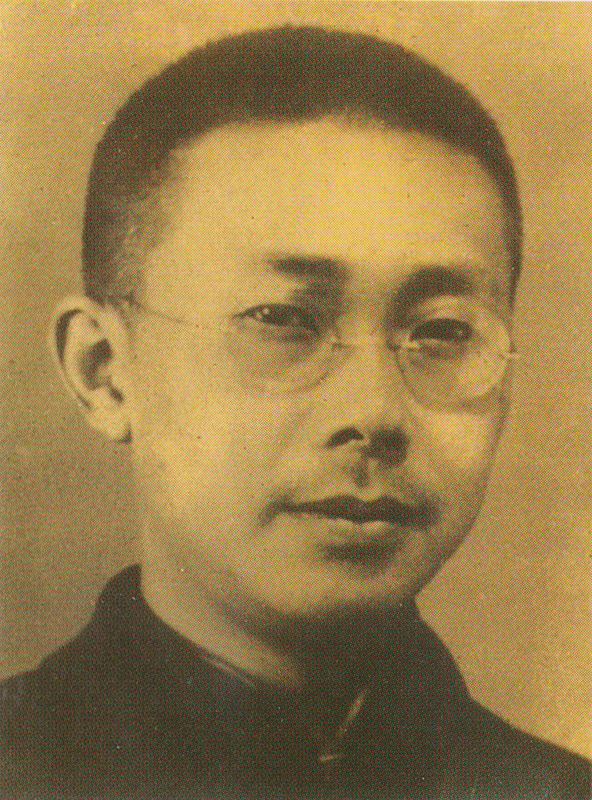 Not long after, he was forced from his position at the school, and then on the afternoon of August 9, 1951, authorities muscled their way into the rectory, where they found him in the midst of a quiet game of mah-jongg with three theology professors from Zikawei seminary. Because he had opposed the Three-Self Reform Movement, the Expel Riberi Campaign and all Communist attempts to eradicate the Vatican-led Catholic Church, he was accused of having conducted anti-Communist propaganda in school and of being a running dog for imperialists. He was arrested. 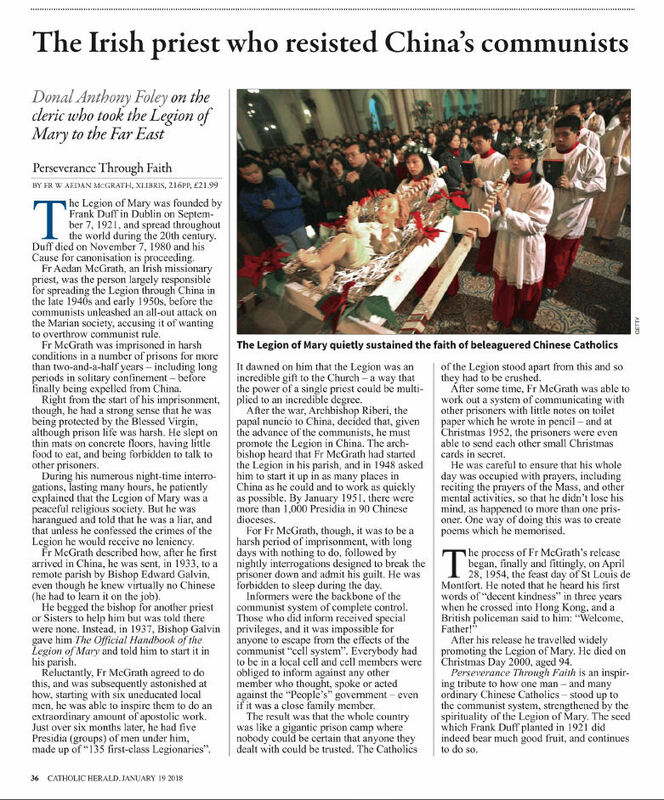 The day after his death, from one end of Shanghai to the other, thousands of faithful flocked to churches to attend Masses, the unbloody sacrifices of Calvary. As a sign of mourning, women and girls pinned white flowers in their hair. Men and boys tied strips of black material around their upper arms. Priests donned blood-red vestments symbolizing that Father Chang had, indeed, died the death of a martyr, that he had, indeed, been killed for the faith. Although armed guards patrolled the cemetery, a steady stream of mourners paid their respects at the gravesite where a blank headstone had been placed, with an order that it be engraved: CRIMINAL REACTIONARY CHANG. One of the visiting faithful wrote in chalk upon the unmarked stone: VIVA CHRISTO REI. In October 1937, only a few months after the outbreak of the Second Chinese-Japanese War, the Chinese Communists reached Cho Lu County and the valley of Yang Kia Ping, in northern China. The Trappist abbey, Our Lady of Consolation, found itself between the two forces: Japanese soldiers to the north and the east, and revolutionary Chinese Communist soldiers to the south and the west. With the end of World War II, on August 15, 1945, the Feast of the Assumption of the Blessed Virgin Mary, Japanese forces retreated from their positions around the world, thus withdrawing from China. The end of the war also ended the so-called truce between the Nationalists and the Communists. The Nationalists, unable to re-occupy northern China, which had come under control of the Reds, could only stand at strategic points along borders, and an all-out civil war between the two resumed in a brutal fight. But the Nationalists weren’t the only targets during the civil war. The Communists also started targeting other enemies: counterrevolutionaries, religious believers and landlords. The Trappist monks were all three. The Communists made plans to destroy the abbey and its Community, so the persecution began, with revolutionary struggle, torture and death. The first to die was Brother Bruno Fu (b. 1868). After a forced march, the 79-year-old fell to the ground, never to rise again. Two days later, on August 15, 1947, the Feast of the Assumption of the Blessed Virgin Mary, he should have been celebrating the golden jubilee of his solemn and final vows. Instead, the kindhearted old man lay dead. The Communists ordered that the body of the proto-martyr of the Trappist monks of Our Lady of Consolation be dumped without ceremony in a shallow grave.